Replacing the stock capsule in the Rode NT1-A with an RK-47 revoices the microphone, replacing the bright/peaky high frequency with a broader, flatter response curve. 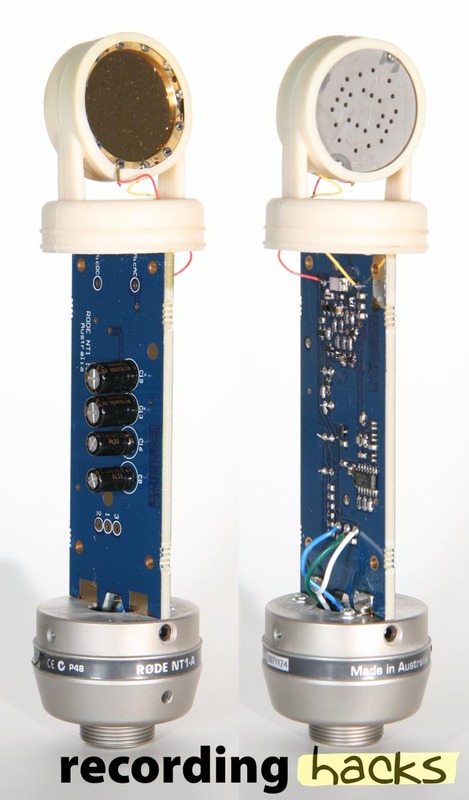 The NT1-A is a revision to the company’s NT1, a fixed-cardioid, large-diaphragm FET condenser. The original NT1 was was designed by Jim Williams of Audio Upgrades, and employed high-grade through-hole components. The NT1-A was described as an “Anniversary” edition, but is essentially an entirely new microphone design. 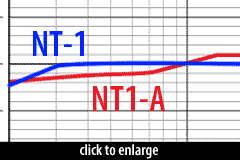 How did the NT1-A differ from the NT1? Perhaps most significantly, the NT1-A employs surface-mount components on the circuit board. 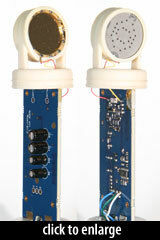 This enabled assembly automation and lowered the production cost of the microphone. The surface-mount PCB design for the NT1-A was adapted from the company’s NT1000, according to MIX, although it boasted superior specifications to the NT1000 (as well as the NT1). The conversion to surface-mount components also included an IC-based replacement for the DC power oscillator circuit; this no doubt reduced costs, and most likely improved the consistency from mic to mic. To be clear, the integrated circuit on the NT1-A board is not part of the audio circuit; it is simply a voltage multiplier feeding DC voltage to power the capsule. In the sample microphone we tested, the backplate was polarized to +75VDC — which is high for a condenser capsule, but is presumably part of the reason the mic has such a low noise floor. For example, the NT1-A’s self-noise is just 5dBA, whereas its predecessor produced 13–17dBA of self-noise (reports vary). The newer mic was billed as “The World’s Quietest Studio Condenser Microphone,” and although quieter mics have since been produced, the NT1-A remains among the lowest noise condensers we’ve seen. The grille of the NT1-A is slightly larger than on the NT1, according to Audio Technology, and the exterior finish changed from “hospital blue” to satin nickel. The capsule in the NT1-A is said to have been retained from the original mic, but reports from mic owners suggest that some production runs utilized alternative capsules. Our best information is that the NT1-A uses a 34mm edge-terminated capsule (28mm diaphragm), whereas photos of the NT-1 show what appears to be a typical China-supplied K67 derivative (center-terminated). The NT1-A is supplied with a shock mount and zip pouch. The NT1-A is also available in a factory-matched pair. Sonically the NT1-A seems to have a little more in the extreme highs and less midrange presence than the NT1, making it a slightly smoother and more comfortable microphone to use on vocals and stringed instruments. The new NT1-A (the “A” stands for “anniversary model”) comes from pairing the true condenser (externally polarized), 1-inch-diameter, gold-sputtered capsule from the original NT1 with J-FET surface-mount electronics modeled on RØDE’s NT1000 for an entirely new creation, with a personality of its own, an impressive 5dBA self-noise spec and a new nickel-finish body. The NT1-As … sounded great in every application appropriate for large-diaphragm condensers. 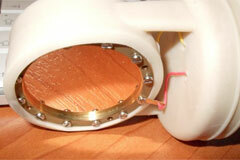 They can handle extremely loud SPLs without the need for a pad, and their self-noise spec is a huge bonus. The frequency response is very smooth all the way from 20 Hz to 20 kHz, with only a very small presence bump around 12 kHz. 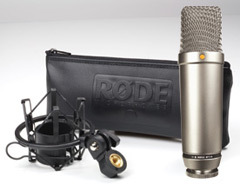 The RØDE NT1-A is also known as: NT1A.